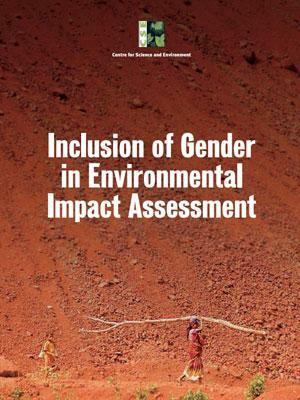 Environmental Impact Assessment (EIA) is required to be undertaken for all major development projects in virtually all countries worldwide.1 However, the process of EIA however has been reduced to a mere technical process with very little importance given to socio-economic issues, including those related to gender. On the contrary, it can be demonstrated how adverse impacts of development projects can be reduced with the full and equal participation of both genders, particularly women, because of their decision-making capacities, organic knowledge of local topography and ecosystems, and concern regarding drinking water, sanitation and health. EIA processes can provide a good opportunity to address gender issues at an early stage of project planning, and explore means to reduce adverse impacts on women. Despite the multiple roles women assume at the household level and the society at large, not the least as vital cogs of the economy, their representation and participation in decision-making processes remain abysmal. This can be attributed to strong patriarchal patterns and numerous gender-based assumptions in the society. Women and other vulnerable sections of the society are the first and most affected by consequences of developmental processes like displacement or relocation, loss of livelihood and reduction in access to natural resources, damage to the environment and increase in pollution levels.